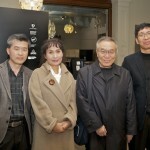 In August 2011, Korean poets (above, l-r) Kim Ki Taek, Park Ra Youn, Hwang Tong-gyu and Park Hyung Jun landed in Australia for a ten day tour. 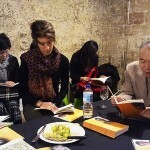 They presented at the Melbourne Writers Festival and in Sydney at the Redroom Poetry Company. 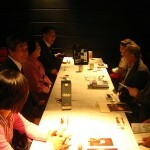 The tour was a reciprocal visit following the Cordite/Asialink tour of Korea in May. 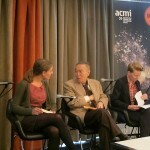 We wanted to introduce Australian audiences to the richness of the Korean poetic tradition, and continue the conversation between poets in both countries. 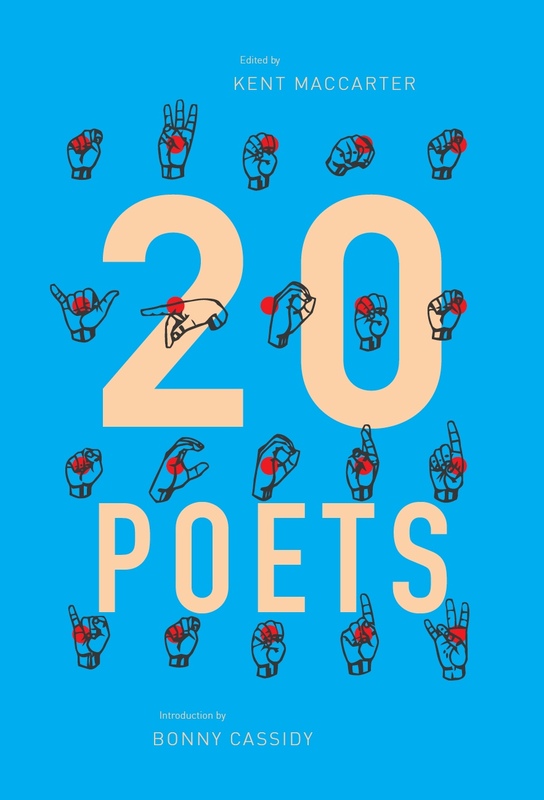 We chose a format that was intimate and direct, taking into account language differences, and the fact that poets do not necessarily read their own work in Korea; professional readers usually do the job for them. 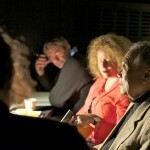 Accordingly, audiences were divided into small groups, each with their own personal poet. 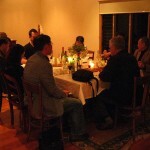 Seated around tables stocked with fruit and snacks, the poets read their work, fielded questions, and discussed both specific poems and general ideas. 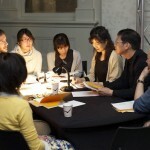 They were ably assisted by interpreters and volunteers who read English translations. Every ten minutes, a bell sounded, the poets rotated, and the process began anew. 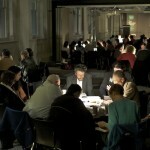 It was a combination between a poetry reading, a conversation between friends, and speed dating. 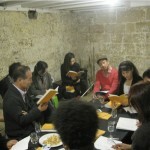 It was hard work for the poets – reading continuously for over an hour is no small task – but the reception and feedback suggest it was worth the effort. 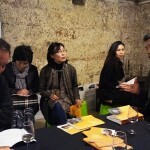 For the main Melbourne event, the Korean visitors were joined by Terry Jaensch and Barry Hill, and following the reading, Barry hosted a dinner and recording session at his home in Queenscliff. 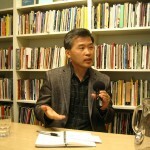 Hwang Tong-gyu also presented at the Morning Reads Session of the MWF, and all four poets were interviewed by Australian Poetry and 3RRR. In between readings, dinners and meetings, the poets were able to see some of Sydney and Melbourne’s sights, meet with the local Korean community, and fulfil one of Mr Hwang’s main pre-visit aims: to see a koala! 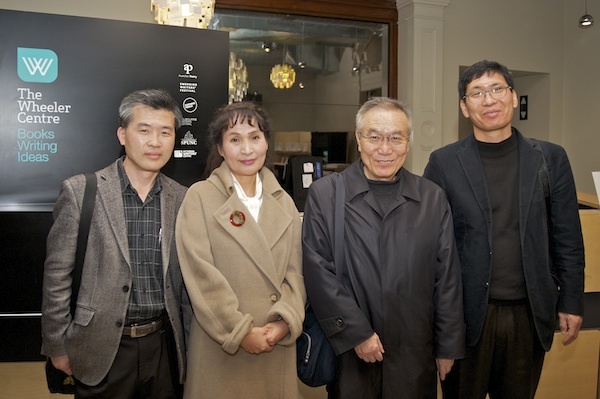 Asialink and Cordite would like to give huge thanks to the visiting poets; Barry Hill and Terry Jaensch; Rose Bygrave; Yoonie, Jin Kwon and the Korea Literature Translation Institute; the Korean Societies of Melbourne and Sydney; Johanna, Tegan and the Redroom staff and volunteers; Steve, Jenny and the MWF staff and volunteers; Joey; and everyone else who was involved. Cheers! 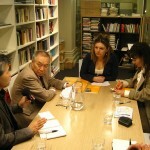 This entry was posted in ESSAYS and tagged asialink, Korea, Ozko Features, Ozko News. Bookmark the permalink. Nicolas (Nic) Low is a New Zealand-born writer and artist based in Melbourne, Australia. 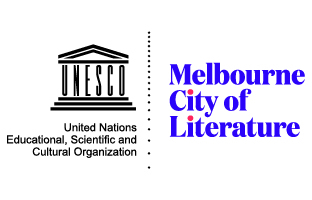 He holds a Masters in Creative Writing from the University of Melbourne and is currently Writing Program Manager at the Asialink Institute, responsible for sending Australian writers on residencies to Asia as well as developing delegations, tours and cross-cultural collaborations. Oz-Ko (Hoju-Hanguk) is now online!